This article is written as a supplement to the Ethical Jewelry Exposé. It’s a personal account of the ethical gold movement, its origin and history as birthed in the UK and initiated in the USA, over a timeframe of about the last ten years. To begin: these days, we have two main sponsors of ethical gold from small-scale miners. Fairtrade and Fairmined represent two distinctly different organizations. Fairmined comes out of the Alliance for Responsible Mining (the Alliance). The Alliance is a pathbreaking global organization that has pioneered assisting small-scale gold mining communities in implementing best practices. 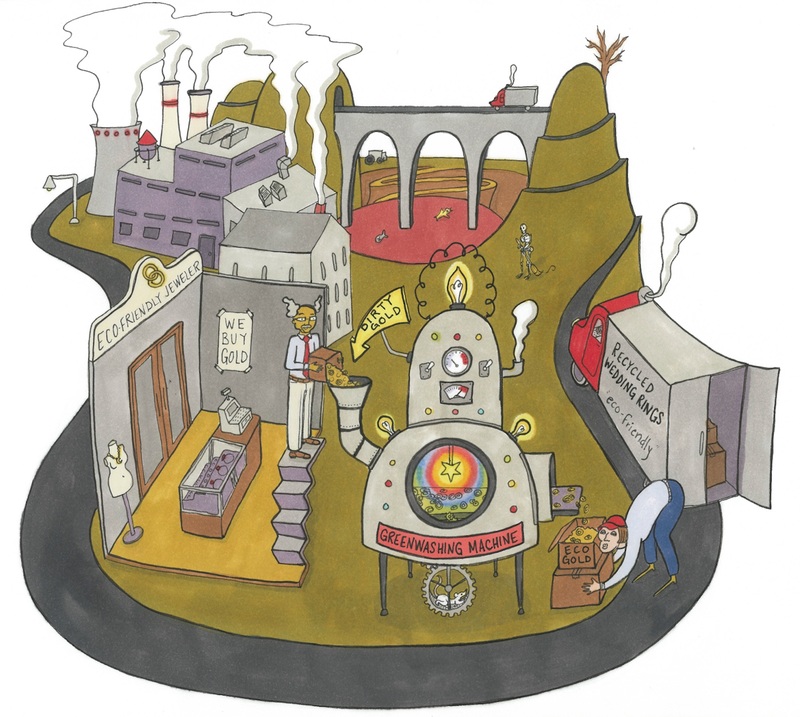 The Alliance provides essential technical assistance to small-scale mining communities, and provides the expertise that created the environmental and social standards that allowed miners to bring a product to market under their auditing system. The Alliance has also put small-scale miner representatives on their board. The Alliance for Responsible Mining is a centralized organization, based in Colombia. They have signed a memorandum of understanding with the Responsible Jewellery Council in their efforts. Fair trade is a social movement based on a broad set of principles centered around fairness, on not taking advantage of producer communities. The term “fair trade” can be used by anyone in any context, and applied to consumer products without discretion—meaning it can be used deceptively by a company that wants to brand itself with care and compassion for producers. “Fairtrade,” on the other hand, is a trademarked brand that bases its ethical veracity upon a strict auditing protocol enforced by Fairtrade International (FLO). Fairtrade International is composed of a kind of confederacy of Fairtrade organizations that exist independently within each country (e.g. Fairtrade UK). FLOCert is the certification body responsible for auditing the supply chains of all certified Fairtrade products. Fairtrade/Fairmined Gold was a radical breakthrough on multiple fronts. Here are a few critical elements. First: from a jewelry trade point of view, few could even conceive that there could be traceable and transparent gold brought to market from small-scale miners before this Alliance for Responsible Mining/Fairtrade collaboration. Outside of very niche initiatives, such as Welsh gold, no gold supply chain was ever traceable or transparent. Second: up until this time, Fairtrade had only certified agricultural products. For them to certify a mined metal was a huge leap. But there was another critical catalyst as well: UK jeweler Greg Valerio, who had been working on gold issues since the mid-1990s. His Oro Verde experience led him to co-found the Alliance for Responsible Mining. Fairtrade created a standards and principles development process, which codified the Alliance for Responsible Mining’s on-the-ground work into an auditing process from the miner to the jeweler. This document involved numerous people. To say it was a massive amount of work and a huge upfront commitment by Fairtrade would be an understatement. Even after this was done, the process had to be tested in the market. In 2009, I joined forces with Christina Miller, ED of Ethical Metalsmiths—a North American organization that advocates for social and environmental issues and is comprised mainly of small-studio ethically-minded jewelers. 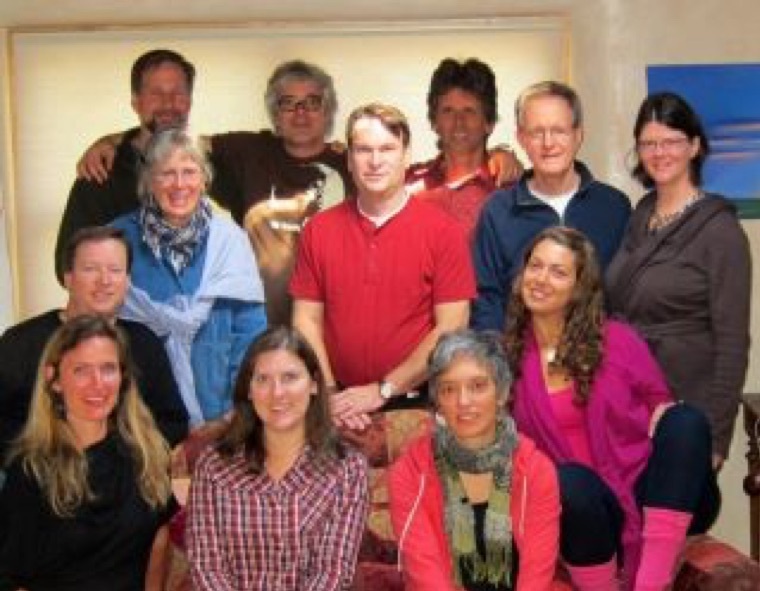 With the goal of building a US movement, Miller and I sponsored this 2011 meeting at my house in Santa Fe, which hosted many of the key influencers in the North American ethical jewelry sphere. Our stated outcome from the meeting was to broadly introduce Fairtrade/Fairmined Gold into the US market. After this meeting, Miller conducted a market study of potential Fairtrade/Fairmined jewelers for Maya Spaull, who did product development for Fairtrade USA. She was working with Fairtrade UK. Fairtrade Gold had already launched in the UK. We were joined by ethical jeweler Toby Pomeroy. The feeling at this meeting was that the challenges were great, but the US market was full of possibility for initiatives that offered opportunity to ASM communities. The destination was Fairtrade/Fairmined Gold. We had the hope that this program could launch in the US, through Fairtrade USA, perhaps within a year. Miller, Pomeroy, and I spent a huge amount of time strategizing on how we might create a viable market initiative. In any retrospective view of events, one can pick out clear turning points. But for those of us who were focusing on concerns of producer communities with basic principles of fair trade as a guiding light, “schism” is the appropriate term. In 2011, just a few weeks before the earlier-referenced meeting at my house in Santa Fe, Fairtrade USA split from Fairtrade International. Suddenly, there was no Fairtrade organization in the US. Fairtrade USA had been the independent Fairtrade organization operating in Fairtrade International’s largest market, the US. So this split was—to put it mildly—a considerable challenge. Fairtrade USA developed their own label, and took significant business away from Fairtrade International, who lost their platform in the US. This split was in part due to a debate over what constitutes “real” fair trade. It’s a large-scale versus small-scale debate. Fairtrade USA wanted to be free to certify large coffee operations to supply Starbucks. Others in the movement felt that Fairtrade should focus on supporting smaller producers. Fair Labeling’s solution at the time was to temporarily manage their US operations from Fairtrade Canada. In retrospect, this split between Fairtrade USA and Fairtrade International was a major blow to the ethical jewelry market. Call it collateral damage. You’ll understand more as you read on, but let me just say now that the biggest victims of this split were small-scale gold miners around the world. Had this breakup not occurred, it’s very possible that the US would currently have a Fairtrade Gold market much larger than what currently exists in the UK, which has over 200 Fairtrade jewelers. But without a Fairtrade organization in the US, or a manufacturer to supply jewelers, there was no possibility of launching a Fairtrade/Fairmined Gold program. In 2011, I started importing and selling jewelry made from Fairtrade Gold shipped over from the UK. Essentially, the business plan, the market study done on good faith in an attempt to create a movement in the US, was thanklessly sidelined. Over time, those of us working toward Fairtrade/Fairmined Gold came to realize that the considerable groundwork, including a survey and market study done at the request of Fairtrade UK and Fairtrade USA, was to no avail. Fairtrade Gold as a US initiative was dead in the water. In April of 2013, The Alliance For Responsible Mining (Fairmined) and Fairtrade International split apart. There was a huge amount of politics at play in this. A primary cause of the schism was the Alliance for Responsible Mining’s involvement with the Responsible Jewellery Council, which resulted in a formal memorandum of understanding between the two. 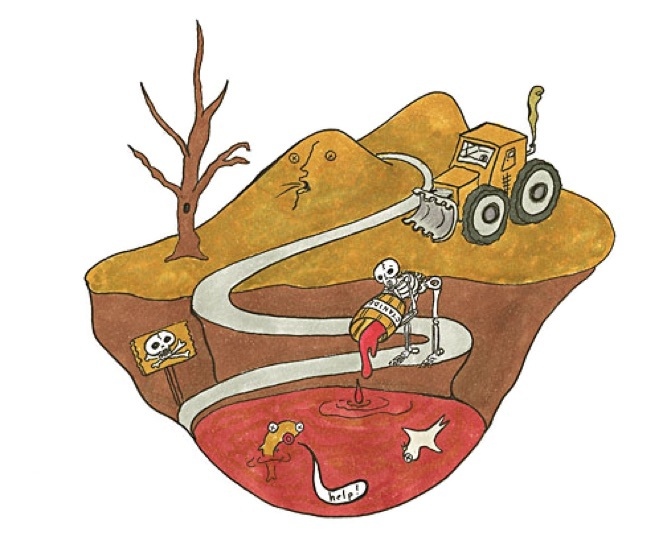 This alignment was not about the Alliance for Responsible Mining certifying large-scale mining, but rather a distinct shift in their tactics: a merging of what had been a radical small-scale advocacy consultancy with large mining interests. Six years earlier, at the Madison Dialogue meeting at the World Bank, an alliance between the Alliance for Responsible Mining and an organization such as the Responsible Jewellery Council would have been out of the question. One person involved in the negotiations said that the meeting had almost fallen apart over differences just days before the event. Now the Alliance for Responsible Mining was working with the very companies that they might have once opposed. At the time, I believed that relationship could be a model for collaboration between large- and small-scale mining interests, raising the profile of producer communities and creating real market change. Plus, the access to the Responsible Jewellery Council network would allow the Alliance for Responsible Mining access to greater funding for their work. Alliance for Responsible Mining board member Patrick Shein, in a Paris meeting, asked me if I wanted to join the Alliance board. In 2009 we had traveled together to Mexico to look at possibilities for Fairtrade Silver mining. I declined the offer and suggested Toby Pomeroy, who has served on Alliance for Responsible Mining’s board since. Fairmined/Fairtrade Gold was now two distinct programs: Fairmined Gold (Alliance for Responsible Mining) and Fairtrade Gold (FLO/Fairtrade International). Fairtrade Gold is a product within a broader international fair trade movement. The focus is on producer support, small-scale mining, and grassroots economic development. In contrast, Fairmined Gold was now deeply embedded in the larger mainstream corporate jewelry sector—the purview of large-scale mining and their retail partners. The Alliance for Responsible Mining and Fair Labeling International went from being collaborators to competitors. Fairtrade had to leverage their international network to create their own capacity-building programs. In addition to maintaining relationships in South America, they focused specifically on the African small-scale mining sector, where other strong Fairtrade programs were already in existence. This work was often funded through grants such as Comic Relief. The Alliance for Responsible Mining continued their capacity building work with miners, now with the assistance and resources of the Responsible Jewellery Council, whose members spanned the gamut from mining companies to retailers. It should be noted that, at the actual mine itself, there is no significant difference between Fairmined Gold and Fairtrade Gold standards around labor, safety, environment, etc. Regardless…in the UK, where gold from small-scale miners was already building momentum, jewelers were faced with a choice: Fairmined Gold or Fairtrade Gold? In the UK, jewelers have chosen Fairtrade Gold over Fairmined Gold. Let me pause here, because comparing the UK and US is a study of profound contrasts that is central to the Exposé. Obviously, these are two very different markets. Yet, jewelers in the UK and US tend to share a number of similar trends. In the UK, the Fairtrade movement (chocolate, coffee, bananas, etc.) was already very strong before the arrival of Fairtrade Gold. The strength of this market meant that a new Fairtrade initiative had fertile ground. By 2013, several large and reputable UK supply houses were already providing Fairtrade Gold mill products. Large retail trading groups had come on board as well. For example, in May, 2015, I traveled to Africa with Willie Horton—then CEO of the Company of Master Jewelers, a buying group of over 150 mainstream retail jewelers. We visited gold mines in Tanzania and Kenya. Horton went back to the UK and strongly advocated for Fairtrade Gold to his consortium. 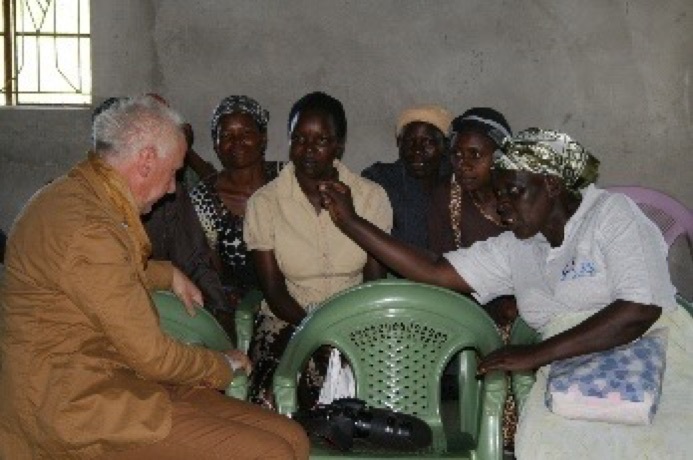 Horton discussing Fairtrade Gold with Kenyan women in a small-scale mining community. Over 200 jewelers have now entered the UK small jeweler scheme (outlined below) for free, selling Fairtrade Gold as part of their product line. Another seventy-plus have joined as formal license holders. Alan Frampton, from Cred Sources, one of the true heroes of the Fairtrade Gold movement, has created a solid supply chain from the mines to jewelers and supply houses—an extraordinarily difficult task. He reports that sales in 2016 and 2017 amounted to 30kg of gold. In the first six months of 2018, 28kgs of Fairtrade Gold were imported to the UK—almost as much as all of 2017. 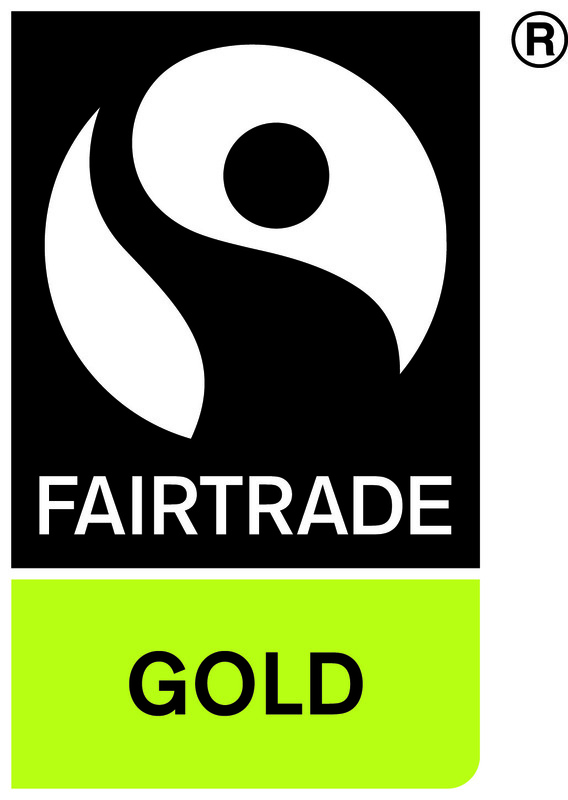 The Fairtrade UK product website lists Fairtrade Gold third. Fairtrade UK also provides marketing and media material to jewelers—such as in their 2018 “Fairtrade Fortnight.” Also offered is their Fairtrade Gold Ambassador Training Course. Consider also that the UK-based trade magazine Professional Jeweller named Fairtrade Gold a major trend of 2017. Fairmined, which has approximately 36 UK jewelers, is not mentioned. In October, 2013, Christina Miller and I were invited to London to attend a Fairtrade gold meeting. By this time, Fairtrade UK had already gained some momentum among small jewelers. Yet a certification process for Fairtrade Gold jewelers in the US was not even on the immediate horizon. Indeed, a month before, Miller and Pomeroy had led the Ethical Metalsmiths community—with the support of North America’s most ethical jewelry supply house, Hoover and Strong—to launch Fairmined Gold to the US market. Looking back, the decision of EM to endorse Fairmined Gold was like a small pebble moved at the top of a mountain which changes the course of a river. In the UK, small pioneer ethical jewelers were the seed that moved the jewelry industry toward a vibrant Fairtrade Gold market, creating a new consumer narrative linking ethical jewelry to Fairtrade. Likewise, it was the small jewelers who were the change agents in the US. They did not have to answer to a board of directors, but only to their own personal integrity and convictions. With their Fairmined initiative, Ethical Metalsmiths took a more prominent ethical jewelry leadership position in the US. With the support of the larger studio jewelry community, they became their own non-profit, with a board of directors and in doing so no longer needed Earthworks, an organization highly critical of the Responsible Jewellery Council, as their non-profit sponsor. Now, because of the Alliance for Responsible Mining’s close ties to the Responsible Jewellery Council, Ethical Metalsmiths were more naturally aligned with the mainstream jewelry sector. The introduction of Fairmined Gold led to mainstream press publicity. 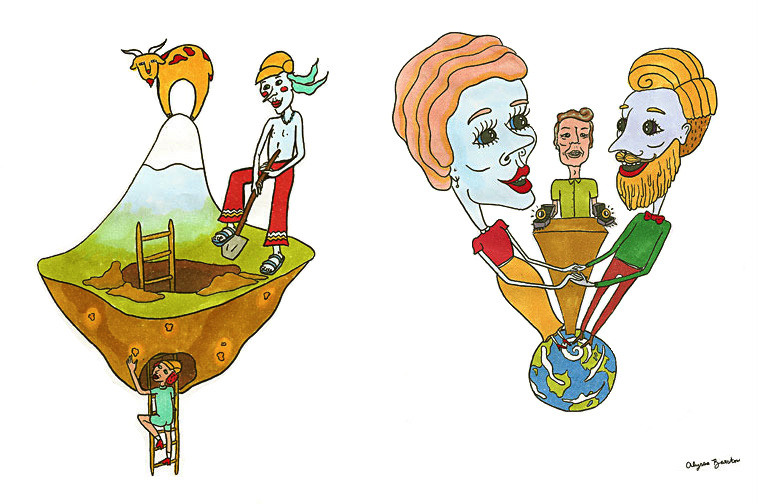 Brilliant Earth joined the Fairmined scheme. This would be the beginning of a new era—one of gold that benefitted the small-scale global mining community and could perhaps even refocus the forward-facing consumer narrative toward concern for producer communities. Fairtrade offered nothing to counter Fairmined’s dominance in the US market. Yet I stuck with it, importing Fairtrade Gold—for few reasons. Fairtrade itself is aligned with a powerful and transformative international movement, including coffee, chocolate and other agricultural products. It is also one of the best known global brands. And, Fairtrade certifies everyone along its path, from miners to jewelers. Additionally, having followed the politics of the jewelry industry for nearly seven years at the time, I considered any relationship to the Responsible Jewellery Council a reputational risk. Let’s now leap forward and consider Fairmined Gold’s impact in the US, just as we did in considering Fairtrade Gold in the UK. There are approximately 45 jewelers in the US who use Fairmined Gold. How does a small studio deal with customers ordering 14K or 18K yellow, white, or rose gold? Due to the nature of the casting process, each run requires extra gold—and you end up with multiple Fairtrade (or in the case of this jeweler, Fairmined) samples that need to be refined back to pure gold. Essentially, this ties up a lot of money—cash flow often needed to keep operations going. 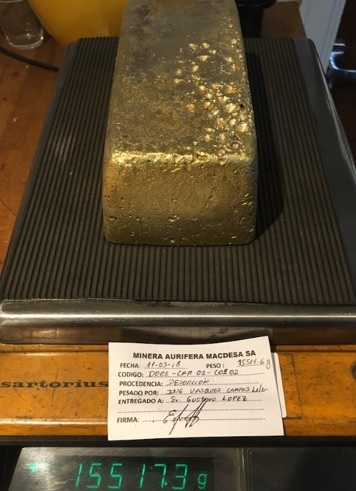 Having to keep enough scrap Fairtrade Gold in the safe to refine is a problem that jewelers in the UK who have casting houses do not have to contend with. Yet as a manufacturer, I have had to stock tens of thousands of dollars of Fairtrade Gold, just to be able to produce our products. This should not be how casting works with Fairmined Gold—they are working as a consortium and are five years into the launch. Contrast this situation with that of the UK. By July of 2014, just three years after the launch of Fairtrade Gold, five of the UK's leading casting houses were already offering full Fairtrade Gold service to UK Fairtrade jewelers. The key issue for me has always been, as a change agent in the sector, how do we scale up? How do we create a market narrative that will drive volume and expand the need for ethical small-scale mining sources, either Fairmined or Fairtrade? Certainly the Responsible Jewellery Council has the power to accomplish this. If members were truly behind Fairmined in the USA, then we would be seeing initiatives coming from large companies that are part of their network—not just small studio jewelers in the US. For example, major players like Signet could launch a limited collection in some of its stores. But no—Fairmined has no significant player in the North American market, and has not been adopted by mainstream jewelers as it has been in the UK. There is no one like Willie Horton, the CEO of the mainstream jewelry buying group referenced above, taking on Fairtrade Gold. Stuller and Rio Grande, the big supply houses, for example, support the notion that recycled gold is the eco-friendly choice for jewelers. In 2007, 100% recycled gold was introduced by the jewelry supply house Hoover and Strong as a positive narrative to counter gold’s poor environmental reputation, particularly in light of this powerful consumer-facing campaign from Earthworks. At the time, the notion of ethical jewelry from the gold supply chain was quite radical—and the cutting edge was recycled. Between 2007 and 2011, recycled gold’s greatest benefit was that it raised the profile of sourcing issues in context to jewelry production. Earthworks, an organization that has always had a lot of credibility in the environmental activist sphere, endorsed the recycled gold approach, assigning jewelers ratings—which many of these jewelers still use today. Also—and this is critical—Brilliant Earth, which had launched in 2005, fully embraced recycled gold as the ethical choice, as they do today. Recycled gold does nothing to support small-scale mining. “Reclaimed gold” has a much better tone than recycled gold. Pomeroy founded the Mercury Free Mining Challenge—so he understands that recycled gold has no impact on reducing mercury contamination. Whether a clasp is recycled silver or not is of no consequence to improving the lives of small-scale gold mining communities in Kenya or anywhere else in the world. The focus on recycled metals diverts the energy for change away from products that actually benefit small-scale mining communities and the environment. It undermines the unique selling position of Fairmined or Fairtrade Gold in the North American market. 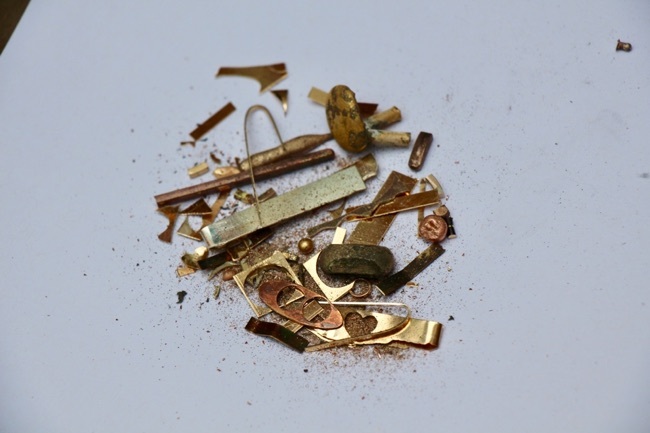 This continued emphasis on recycled gold, especially by Ethical Metalsmiths, is why I hold the view that Fairmined Gold as an initiative, particularly when contrasted to what is taking place in the UK, has failed to gain any real traction. In England, anyone who claimed recycled gold is ethical sourcing would be ridiculed. The Fairtrade Gold story, supported by the international brand, has created a new market narrative that has actually shifted how the public in the UK think about the purchase of a wedding ring. By 2015, Fairtrade America, the new Fairtrade International affiliate filling the vacuum left by the secession of Fairtrade USA, had formed out of Fairtrade Canada. In April of that year, I signed on to be the first Fairtrade Gold jeweler in the USA. In dialogue leading up to my certification, I requested that Fairtrade America adopt the small jewelers scheme that had been so successful in the UK. The small jewelers scheme is the critical entry-level option for small jewelers to use the logo and sell the gold without having to pay anything up front. Fairtrade America would not adopt the scheme. As a result, no one, not even those who contacted me and wanted to join the scheme, followed. I paid $1,532 dollars to become a certified, license-holding Fairtrade Gold jeweler. After three and a half years, I am still the only license holder. Even through Fairtrade America pays for advertising on Google, they do not list Fairtrade Gold as an item on their website. Just to be clear, if you click the far right, “Buy Other Fairtrade Certified Products,” gold is still not listed. Screenshot from summer 2018. In 2015, I put Fairtrade UK in contact with Hoover and Strong and Rio Grande. Even though my small studio is the only Fairtrade Gold jeweler in the US, Hoover and Strong purchased 2 kilos of Fairtrade Gold in the fall of 2017 and another two kilos in July of 2018. Hoover and Strong has always been years ahead of the rest of the jewelry trade in context to ethical sourcing. This is obviously a very smart move, given how the market is shaping up in Europe. In the comparisons between Fairmined and Fairtrade Gold, those who advocate for Fairmined rightly point out that Fairmined pays a larger premium to mining communities: $4,000 US per kilo to Fairtrade’s $2,000. Based on this, their reasoning goes, Fairmined is the best choice for the miners. Much of the $2,000 difference supports the Fairtrade organization, their on-site audits at jewelry stores, and building their powerful global brand. We want a global movement, not a small movement. A global movement will improve the lives of millions of miners. And for a global movement to take place, there needs to be a solid infrastructure in each country, which Fairtrade has already accomplished. The global Fairtrade movement, the Fairtrade brand, has demonstrably paid off in the market. As I have mentioned earlier—in the UK, Fairtrade Gold is the market choice because the brand itself is so much stronger. If Fairtrade Gold had landing in the US five years ago, there is no doubt we would be seeing the same kind of progress here. In short, the co-branding of Responsible and Fairmined Gold essentially means that alleged atrocities of Responsible Jewellery Council mining companies (See the Fourth Russian Doll: Responsible Jewellery Council Chain Of Custody Scheme Exposed) are acceptable. To give a specific example, Certified member AngloGold Ashanti can conduct activities in Ghana shown in the video below without so much of a Mea Culpa. I believe that any pioneer ethical jeweler runs a reputation risk by associating with a brand that would work within the Responsible Jewellery Council framework. Fairtrade Gold is by far the best choice, and it will one day land in the North American market just as it has in other parts of the world.